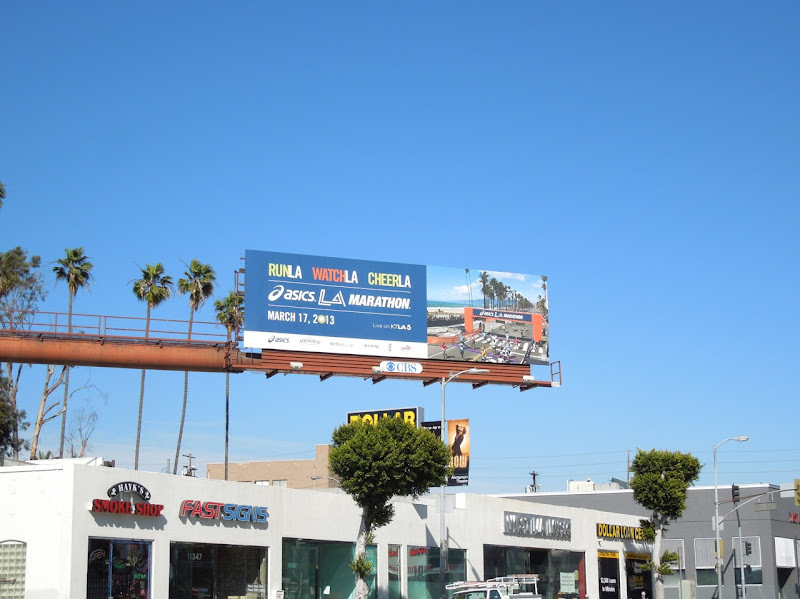 Happy St. Patrick's Day, or more importantly Happy Marathon Day to the 20,000 plus runners who are competing in the Los Angeles Marathon today. 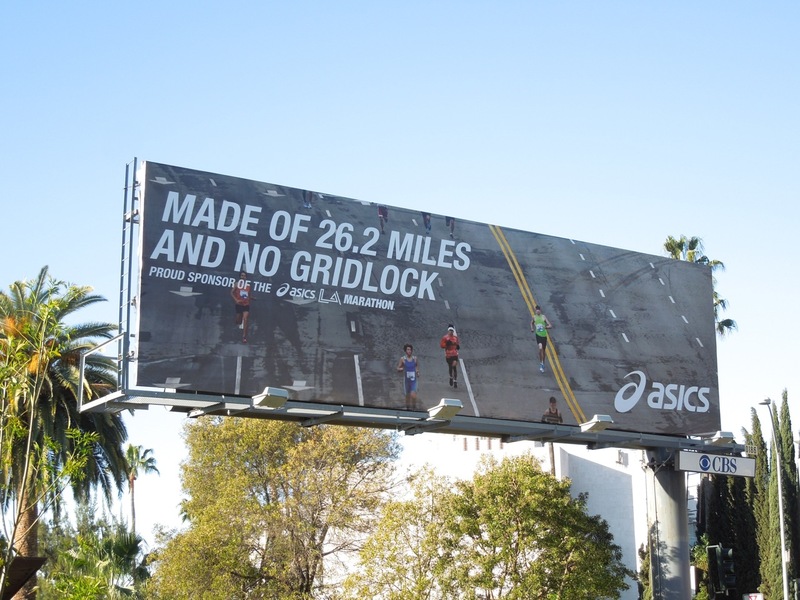 Take it from someone who knows, if you've ever run a marathon or even competed in a race, then these Asics marathon-inspired billboards will strike a special chord with you. They really sum of the spirit of a marathon and the sense of pride, achievement and fun of running those 26.2 miles through closed off streets with crowds cheering you along the way. 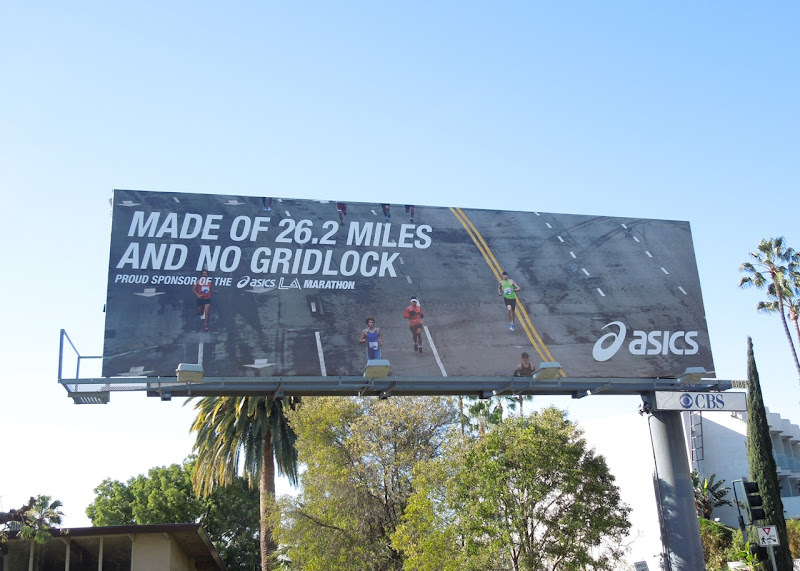 This Asics 'Made of 26.2 miles' ad campaign is strategically placed along the race course and so they not only reach hordes of commuters in the weeks running up to the marathon, but also the highly targeted, dedicated runners and spectators on race day. 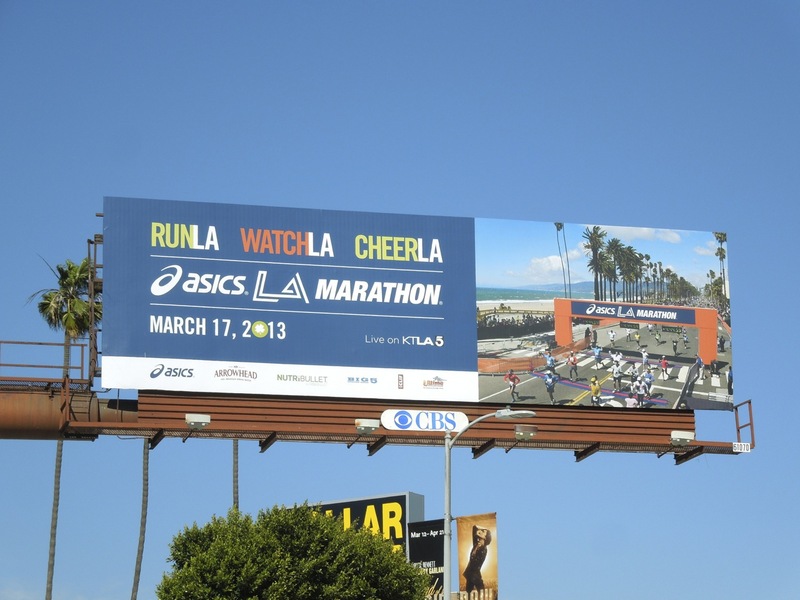 This year Asics is the official title sponsor of the L.A. Marathon and these cool 26.2 miles billboards were spotted along Sunset Boulevard in West Hollywood on February 22, 2013, whilst the 'Run LA, Watch LA, Cheer LA' billboard was spied along Santa Monica Boulevard in West L.A. on February 25, 2013. 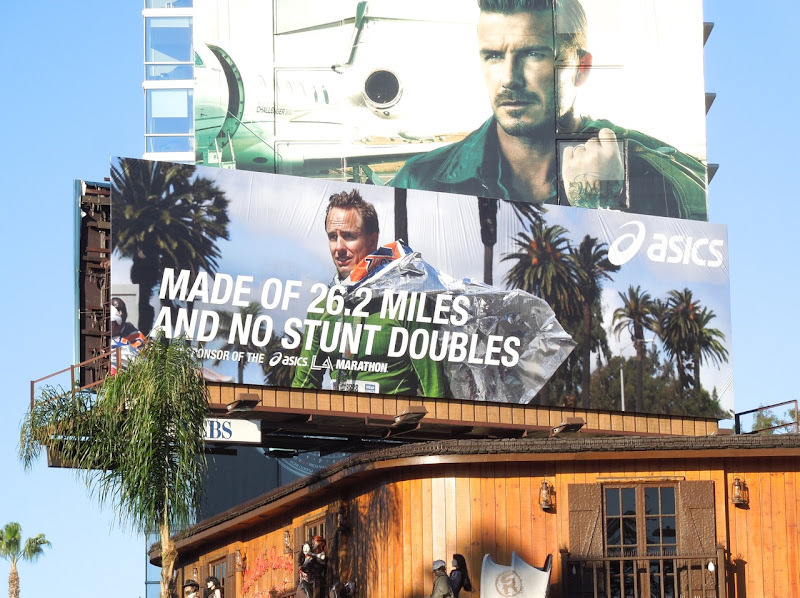 If you like these ad creatives for the running shoe and apparel sports brand, be sure to check out even more Asics running-themed billboards from previous years which are similarly inspiring. 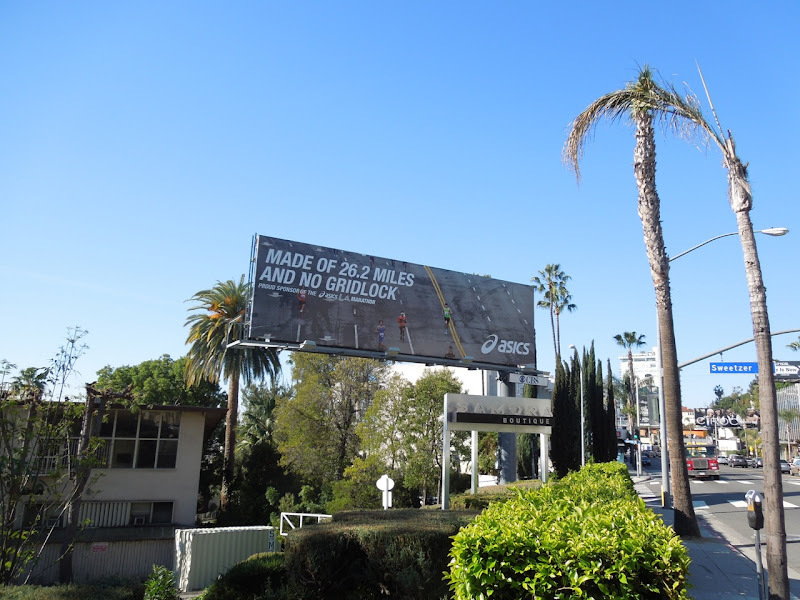 Daily Billboard will be running the L.A. Marathon for the third time today, hopefully in favourable conditions, and smiling as we run past these Asics billboards in between the 13 and 14 mile mark along L.A.'s Sunset Strip. 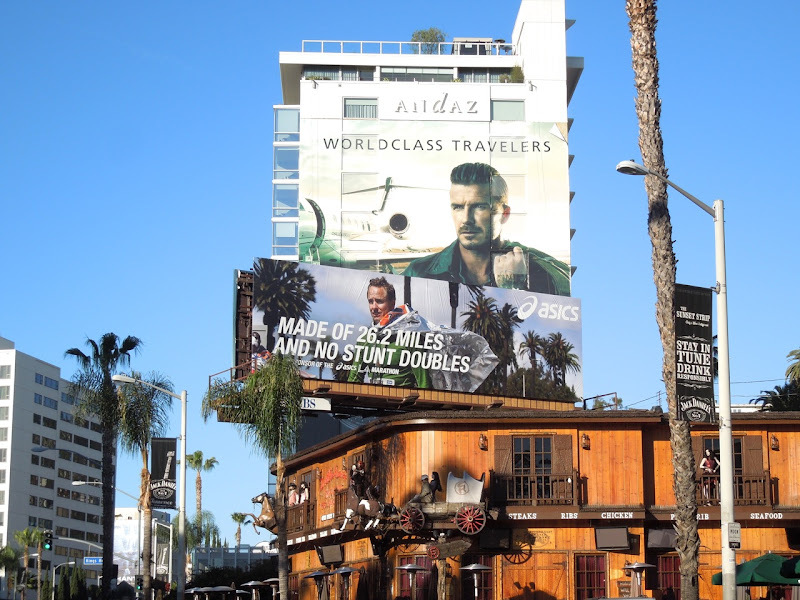 Great news, Daily Billboard achieved a new PR at the LA Marathon of 3:42:18 - very pleased!